Why should we still believe in the FEU Tamaraws? As FEU Tamaraws head coach Olsen Racela sat down in the Ynares Center press room after a win versus the UE Red Warriors, he couldn’t help but let out a sigh. It wasn’t a big one, keeping a straight face all throughout that little process. One could tell however, that the sigh held plenty of depth. It’s been a rollercoaster of a season for the Tamaraws. This wasn’t the type of ride which made you scream because you were having fun in it. This was the one where, you thought it was going to be incredible as you sat down the coaster, but only to find out this was a death-I’m-not-sure-if-it’s-even-defying-anymore ride, the moment it started to move. Coach Olsen was honest, even they themselves had trouble answering this question. “Definitely there were doubts,” he said. “Any time you go through that (losing streak), there will be doubts.” Some credit doubt as mere overthinking, while others have past experiences to back this discomfort up. For the Tamaraws, it was the latter. Consistency has hounded the Tamaraws all season long. Losses versus the UST Growling Tigers and the UE Red Warriors felt like wake-up losses; cases of a loaded team mistakingly believing talent would be enough to sleep walk past competition. 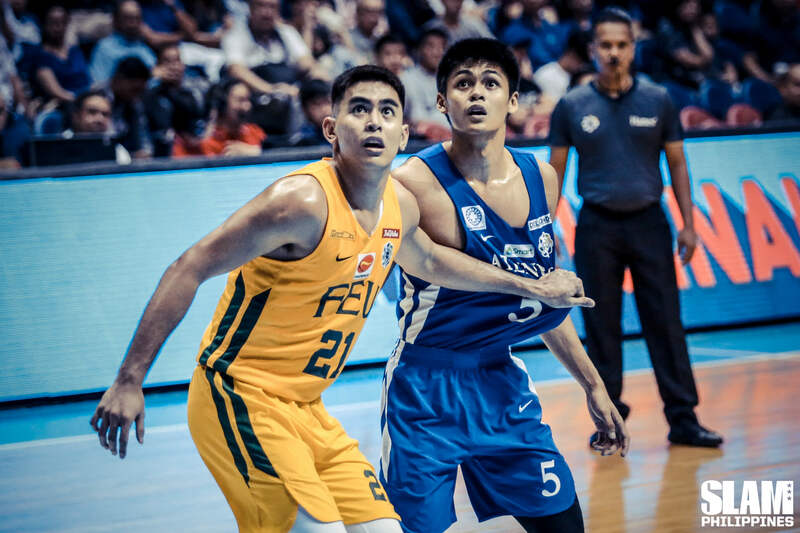 Wins versus the Ateneo Blue Eagles and the Adamson Soaring Falcons were supposed to be indicators they had finally broken out of their slump, figuring out the capabilities of their natural powers. That’s all they were, however. Supposed to be. Felt like. They followed up a win versus the loaded Blue Eagles by losing to the Growling Tigers once more, and making things worse, was Arvin Tolentino sustaining his second disqualifying foul for the season. If there was an event that completely captured the trust issues fans have with the Tamaraws, it was Tolentino’s struggles. After hitting Sean Manganti with an inadvertent clothesline in the first round, he accidentally hit Zach Huang as the game against UST wound down. He said time and time again, he did not agree with the disqualifying fouls called against him. He had a point, the hits looked more reckless rather than intentional. However, it was difficult to have trust in him after his second incursion, whether he meant to do that or not. Fool me once, shame on you. Fool me twice, shame on me. Most fans put the shame on themselves. They found little reason to continue believing in Tolentino at that moment. Trust in the Tamaraws continued to dwindle as well. After losing versus UST, they followed this up with losses against Ateneo — also losing Prince Orizu to an ankle injury — then to UP and La Salle. In a season that’s been branded as drunk, FEU’s the team that’s had the most shots. It’s nothing to be proud of. In a league as competitive as it is right now, even being tipsy can cost you a Final Four slot. After Coach Olsen let out that subtle sigh, Tolentino and Kenneth Tuffin came in to join him for the press conference. The demeanor of the two forwards wasn’t celebratory. It was blank. 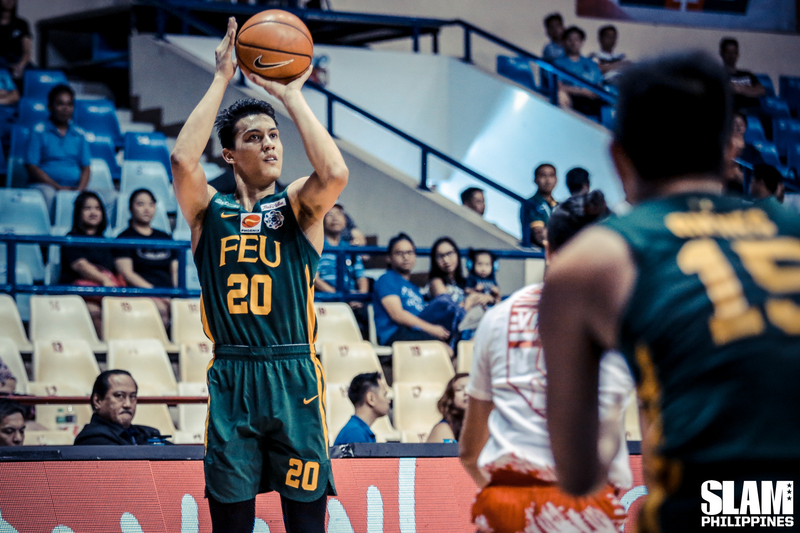 It’s important to properly contextualize FEU’s four-game losing streak. Save for the loss for UST — PLENTY of gimmes galore — all of those losses came with FEU missing key players. Versus Ateneo and UP, they didn’t have Tolentino as he served his suspensions then. They only had Orizu for two quarters versus the Blue Eagles. The big man sat out due to injury against UP and La Salle. Don’t mistake this for discrediting how the other teams won. It’s a fact of basketball. Lose two of your best players, you’re performance is going to dwindle one way or another. 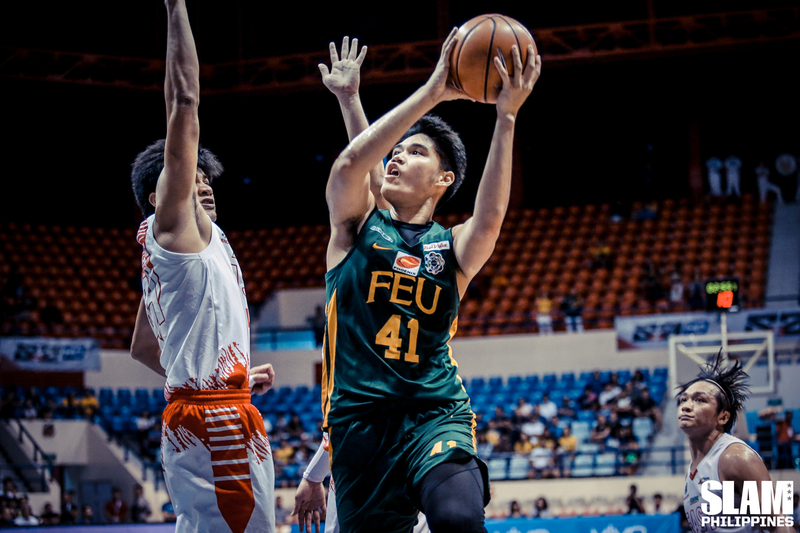 As deep as FEU is, no one in the Tamaraws can replace the scoring prowess of Toelntini, while Orizu’s heft and hulking presence down low is tough to match. That’s why Coach Racela’s sigh wasn’t deep as he sat down during the press conference. It was a mere acknowledgement of the tough situation at hand, not some comforting moment where his team finally put in some effort. As a matter of fact, despite losing Tolentino and Orizu for one reason or another, there was one thing that was never lost with how the Tamaraws played. 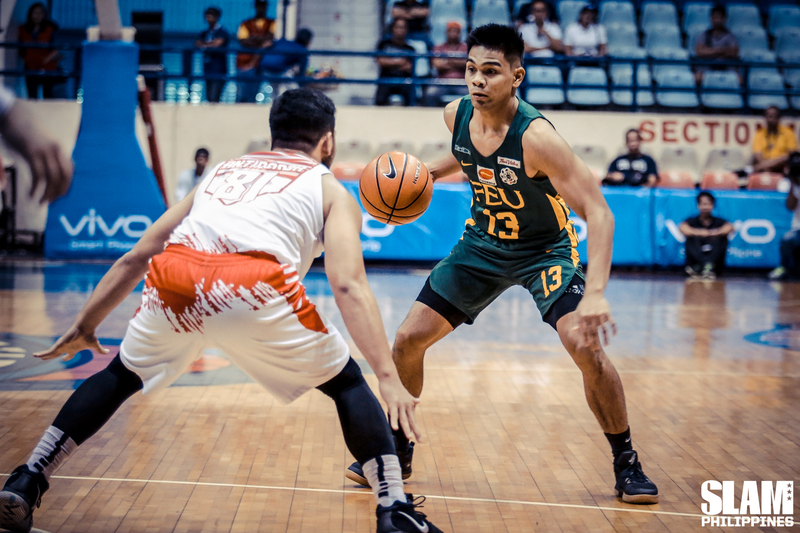 While the final scores may not suggest it, FEU stood toe to toe against each team they lost to during that losing streak before succumbing to monster runs. It was never for a lack of effort. Sometimes, even the bravest of soldiers run out of ammo. This is especially the case for those who have their best of weapons taken away from them in the most inopportune of times. But even when bombs were being thrown at them while the crowd ridiculed them endlessly, the Tamaraws’ mental makeup never wavered. “They remained positive,” said Racela. Alec Stockton has provided moments of hilarity for FEU, faking a foul versus the Growling Tigers (it was that bad, that his teammates couldn’t help but chuckle after watching the replay), and missing a fastbreak dunk versus the Red Warriors (this was just plain hilarious). LJay Gonzales has shown flashes of upside despite still having a raw game. Tolentino is back to doing Tolentino things. Through anything, and everything, the Tamaraws have found reasons to smile. The road isn’t going to get easier for FEU. There are so much scenarios to situations in the Final Four, even Doctor Strange has had difficulty coming up with the most likely outcome. With all of the madness, the Tamaraws know they can only do so much. “We’ll control the things that we can control,” said their head coach. “Why should we still believe in the FEU Tamaraws?” To put it simply, for the same reasons they continue to believe in themselves. They’re one group who have faced plenty of challenges. In the process, they’ve learned, with their effort never wavering. Plus, in case you forgot, they’re a pretty talented group. A guard rotation to salivate for. A frontline that has enough versatility to challenge even the best of them. Most importantly, they have their best player back, and their best big man on the way back. 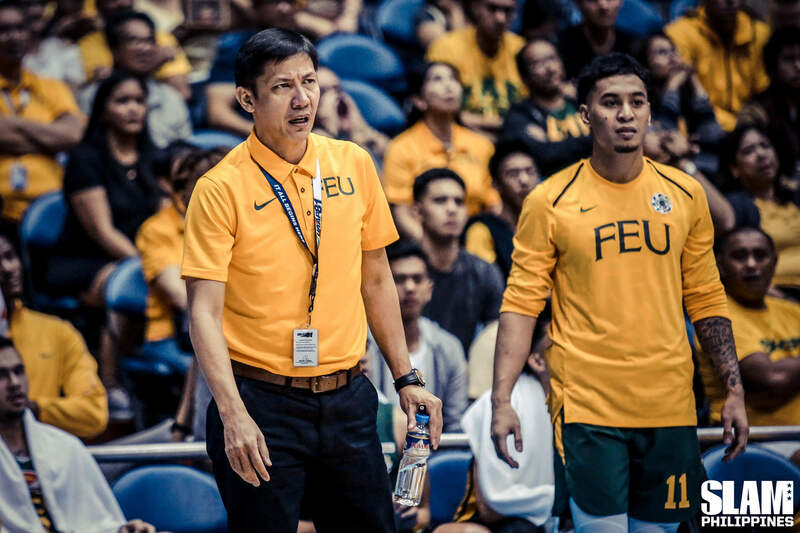 Once FEU figures everything out, teams will let out sighs, heavy ones because of the level of competition the Tamaraws can provide. They’re talented, hungry, and filled with plenty of belief for the ride. Hop on.